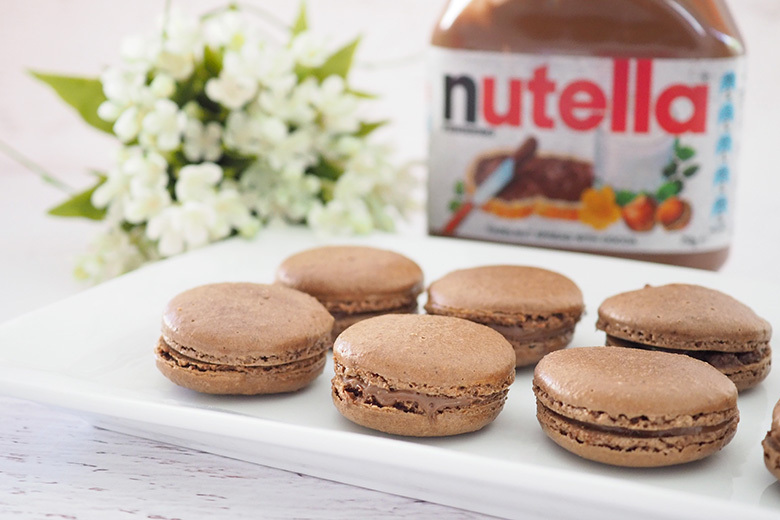 Nutella Macarons have a pure Nutella filling that will impress any chocolate connoisseur!!! My eldest miss made these last week, and I have to tell you that they are just amazing. They are so yummy and I’m incredibly proud of her macaron making skills because let’s face it, macarons are not the easiest cookie to make. You have to get the consistency of the recipe perfect or they won’t bake right. Not only did she get it right, she made them better than I do! The centre is pure Nutella, and together with the macaron biscuit, it’s such an incredible chocolate explosion when you bite into one. Yummo!!! 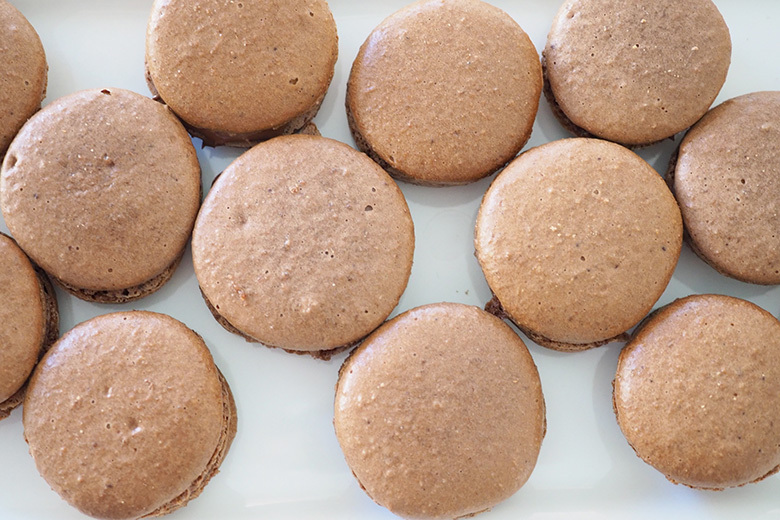 The recipe makes up so many macarons, that you won’t be able to help yourself and will be eating at least a couple of these a day. Nom Nom, let’s just say that there is nothing better than my afternoon coffee and one of these macarons. Draw macaron sized circles evenly spaced onto 3 sheets of baking paper. Place icing sugar, almond meal and cocoa powder in a bowl. 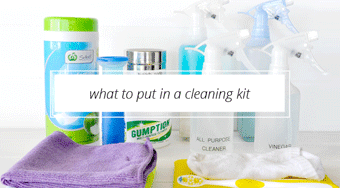 In an electric mixer, beat the egg whites until they are frothy. Add half the sugar and continue to beat. When stiff peaks start to form, add the rest of the sugar and continue to beat the mixture until a thick meringue forms. Using a spatula gently fold through the dry ingredients. Continue to fold for 2 minutes working the mixture from the edge to the centre. Pipe onto the baking paper the same diameter of the circles. 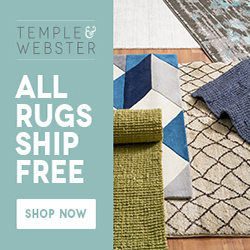 Set aside for 20 – 30 minutes in a dry place until a soft crust forms on the surface. Leave the macarons to cool on tray for 5 -10 minutes then place on a wire rack to cool completely and so you can reuse tray if needed. When cooled pair up macaroons with a similar sizing half. 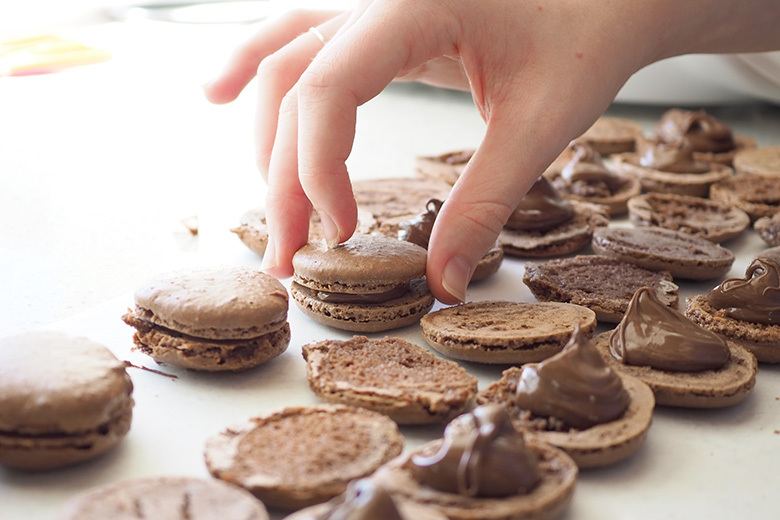 Place Nutella in a piping bag and pipe on half of the macarons then sandwich the other half together. 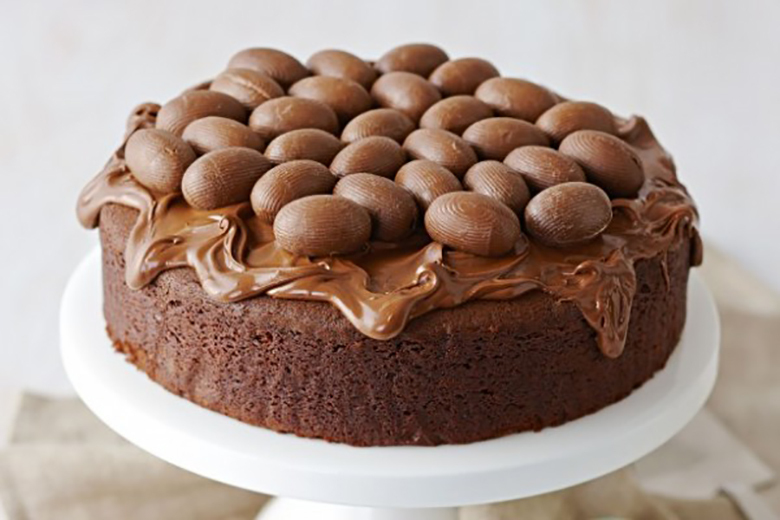 My chocolate Nutella Cake was a cake that I made for Easter one year, but it would also work perfectly with maltesers on top instead. I can tell you that this cake is totally yummo and doesn’t disappoint. 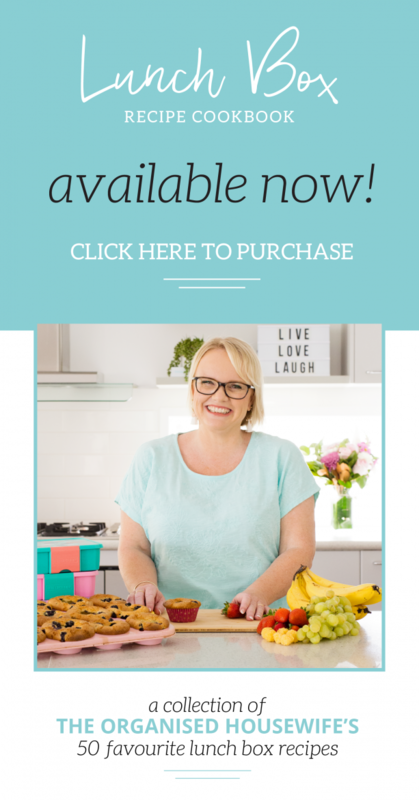 These muffins are pure decadence and a favourite with my kids. I love this muffin recipe so much because you can really taste the hazelnutty flavour from the Nutella. I think I will have to make these as a special treat for the kids again soon. 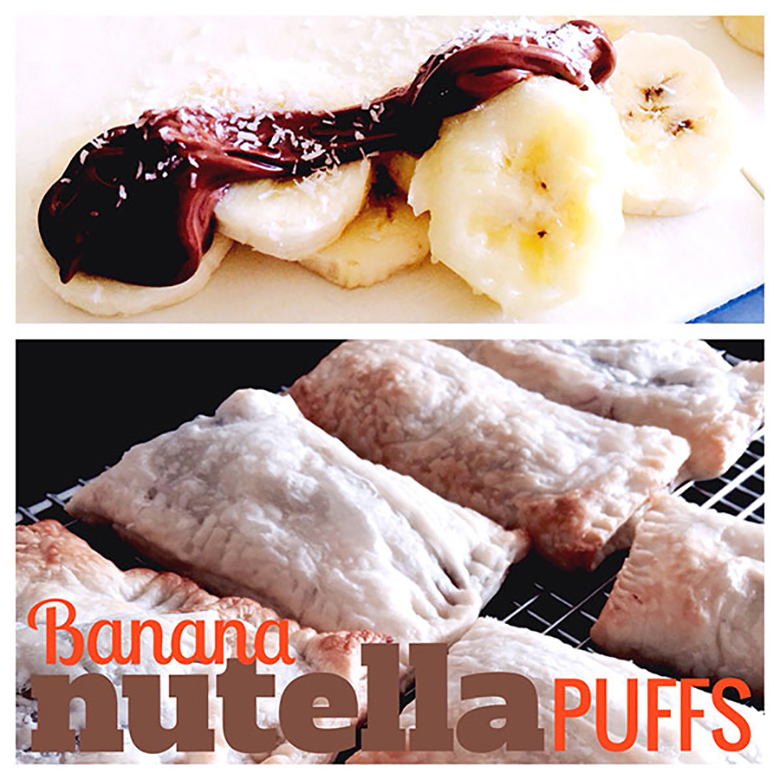 This is a bit of a cheat mode recipe, but it’s such a yummy Nutella treat. 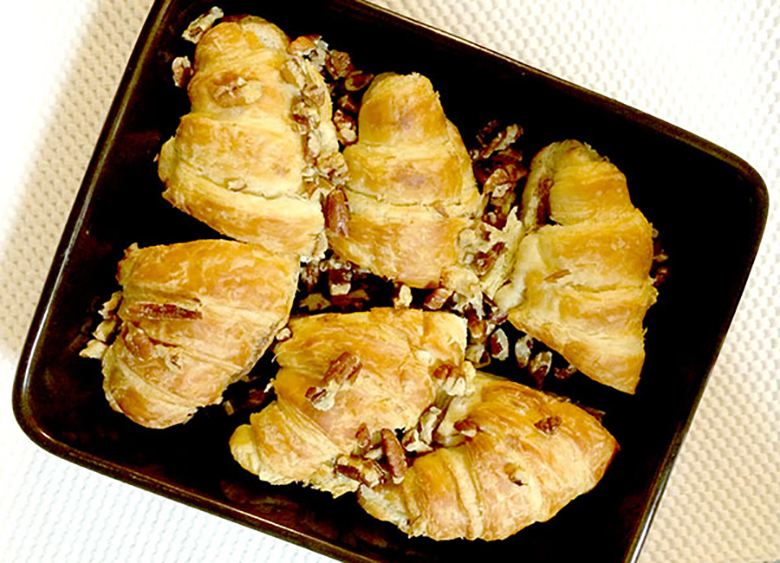 Buy some croissants and make this yummy dessert. 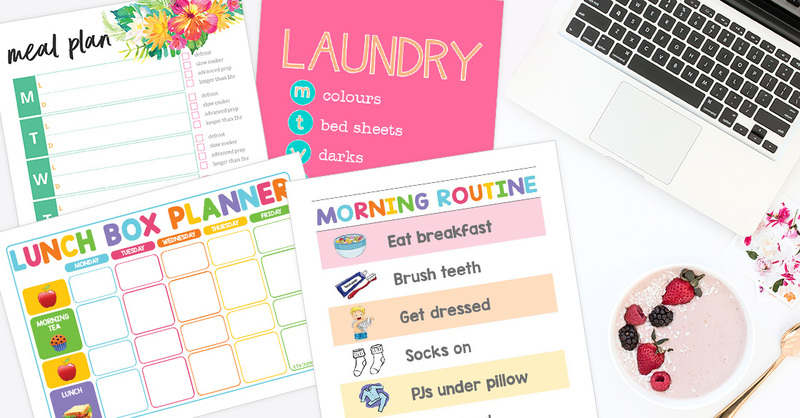 It’s one that the kids can help with, as it doesn’t take much to make. This is an old recipe of mine and it’s absolutely decadent and delicious. 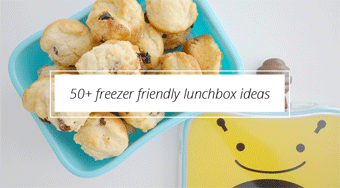 Get some puff pastry and let the kids enjoy making these and watching them grow in the oven. 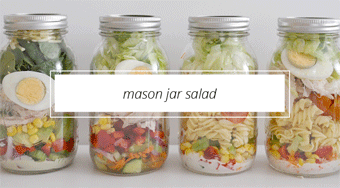 The smell in the kitchen from these is also incredible. I love making muffins because the joy I see on my kid’s faces, always makes me feel so satisfied, so here’s one more Nutella one. 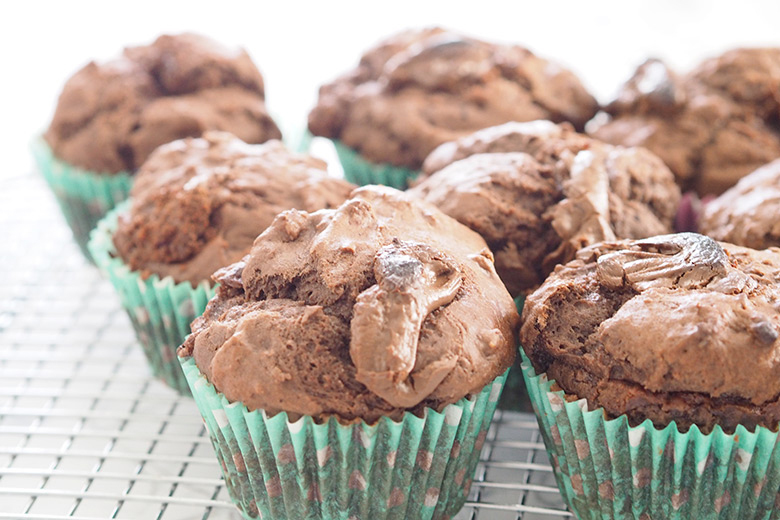 Try these banana and Nutella muffins, because they are divine. They look so pretty too. 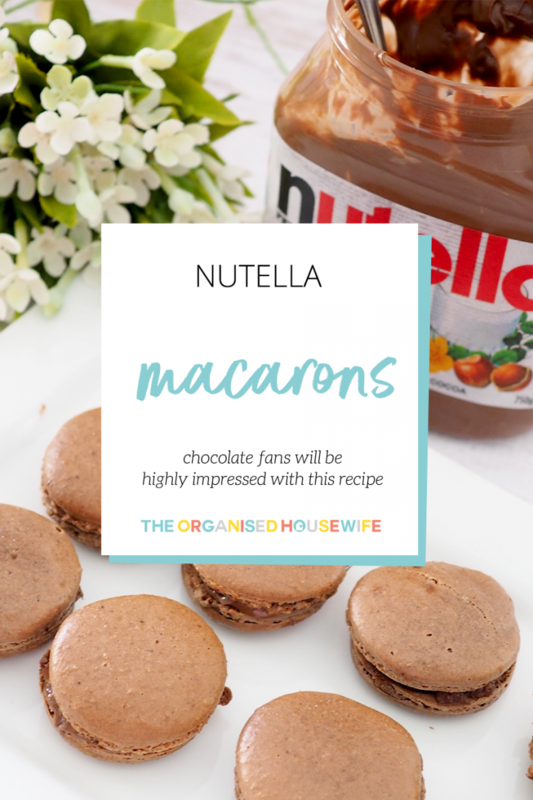 WHAT IS YOUR FAVOURITE NUTELLA RECIPE?